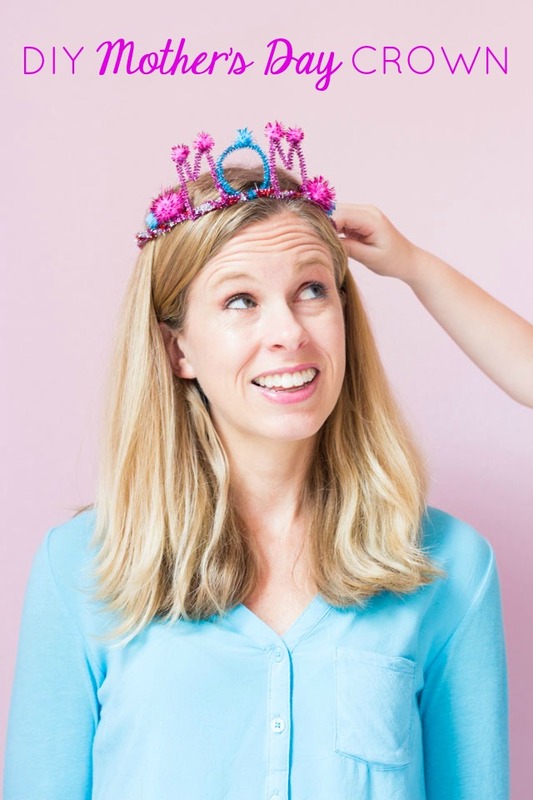 It’s time for the April Supply of the Month Challenge, and we’re starting with a blank canvas – literally! 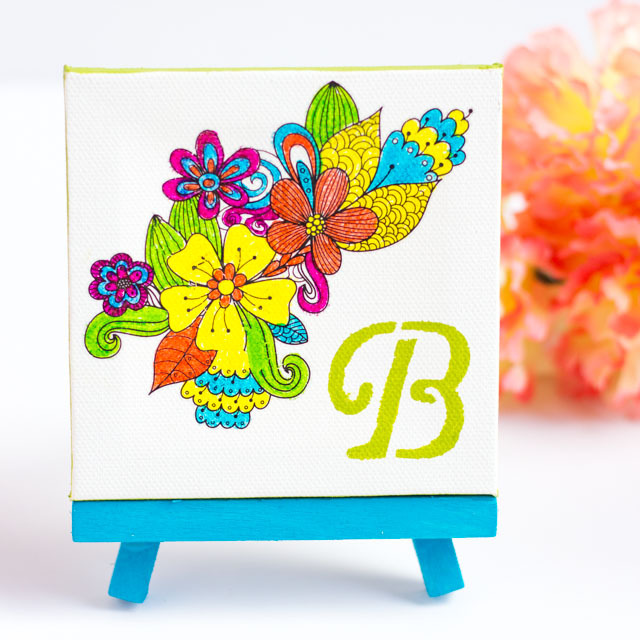 These 4″x4″ mini canvases were the chosen supply for the monthly craft challenge with Oriental Trading. 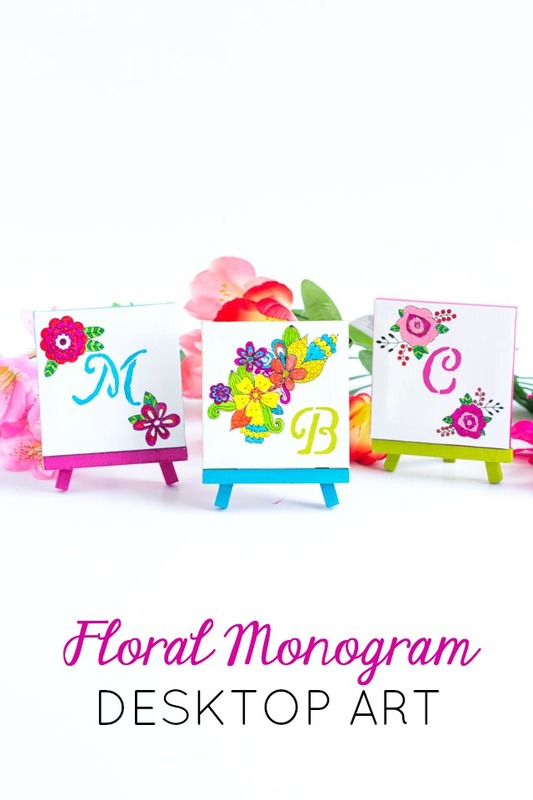 I thought they would be just the perfect size to prop on a desk or nightstand with a little easel. 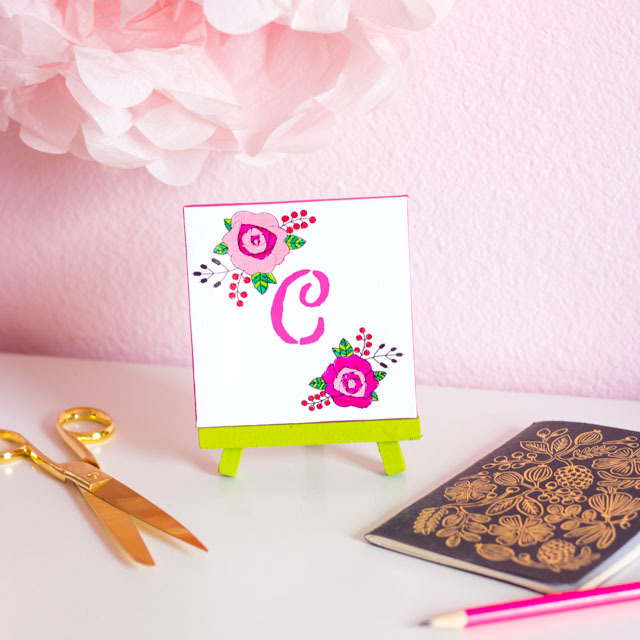 I decorated mine with a monogram and pretty floral art, to make a pretty piece of personalized art that would make a nice Mother’s Day or birthday gift. 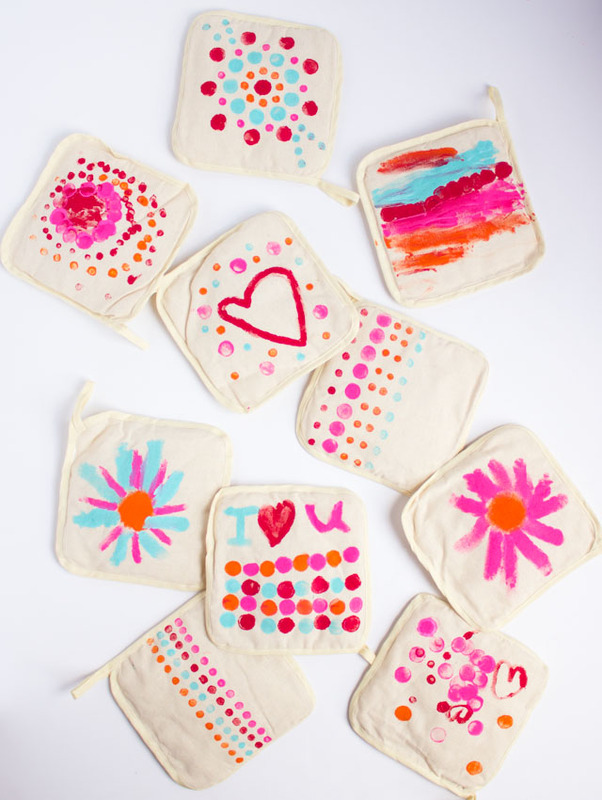 This project is particularly fun because it involves coloring – check it out! 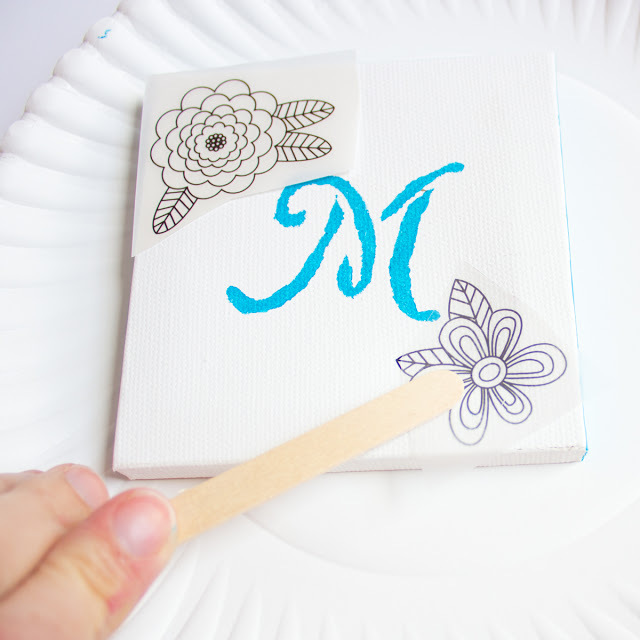 These canvases use a supply that you probably don’t craft with every day – floral rub-ons! I recently discovered these and am now using them to embellish whatever I can. There is something addictive about rubbing them with a popsicle stick and seeing them transfer onto just about any surface you want. 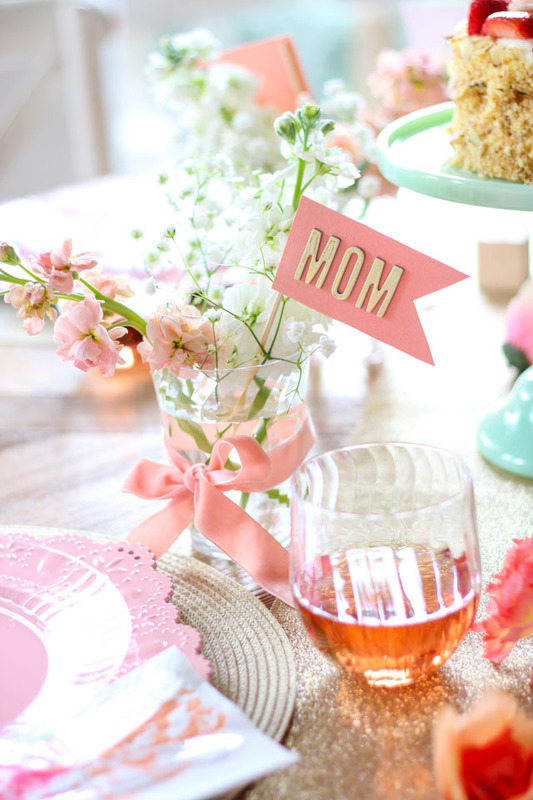 😉 I also used them to decorate these floral bird vases for my spring mantel! 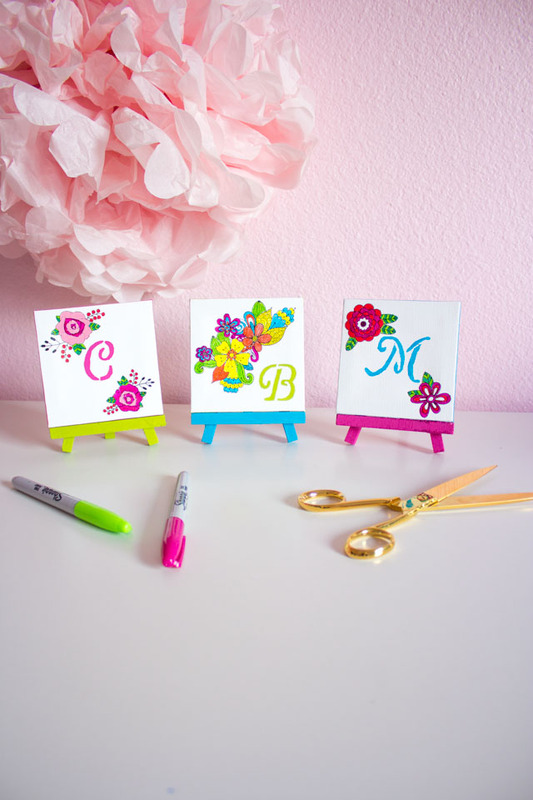 The canvases come to life once the floral designs are colored in with bright Sharpie markers. I displayed them on mini easels that I painted a bright color. 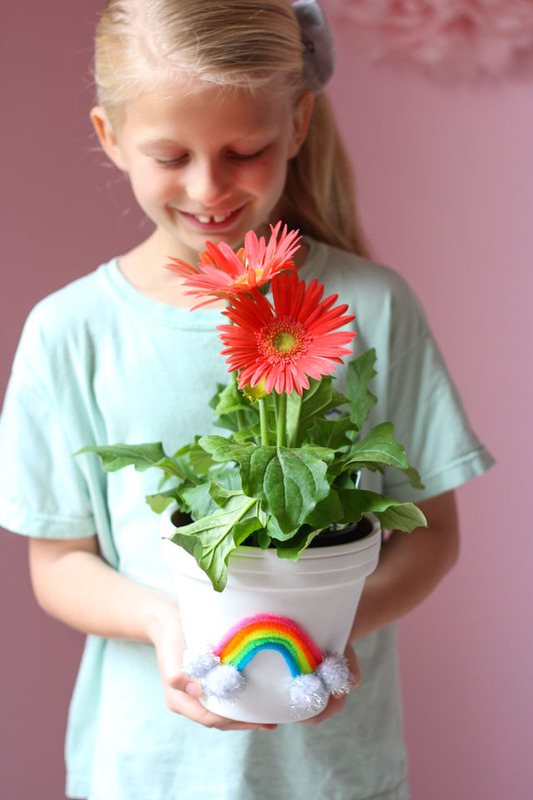 In addition to being great gifts, these would also make for pretty table numbers at a wedding or shower. Just use numbers instead of initials.